It’s time to plan that small group getaway you’ve been dreaming about at Savannah Splash! 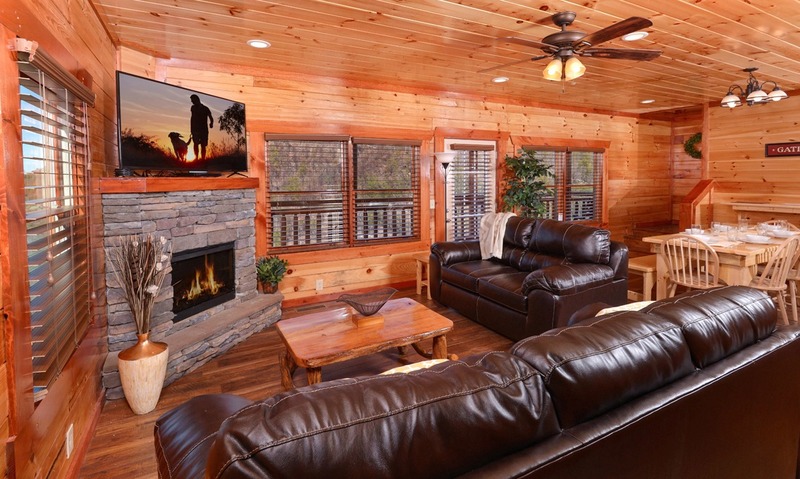 This beautiful 12-person pet-friendly log cabin with tons of updates and modern Smoky Mountain décor features 4 bedrooms and 4 bathrooms, making it an easy choice for family gatherings, small groups retreats, or couples’ getaways to the Smokies. 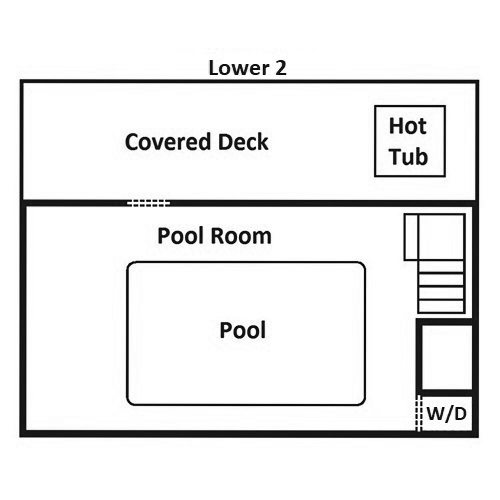 With more than 3,000 square feet of space, Savannah Splash provides plenty of room for your group to spread out, including on its 4 levels of covered decks. 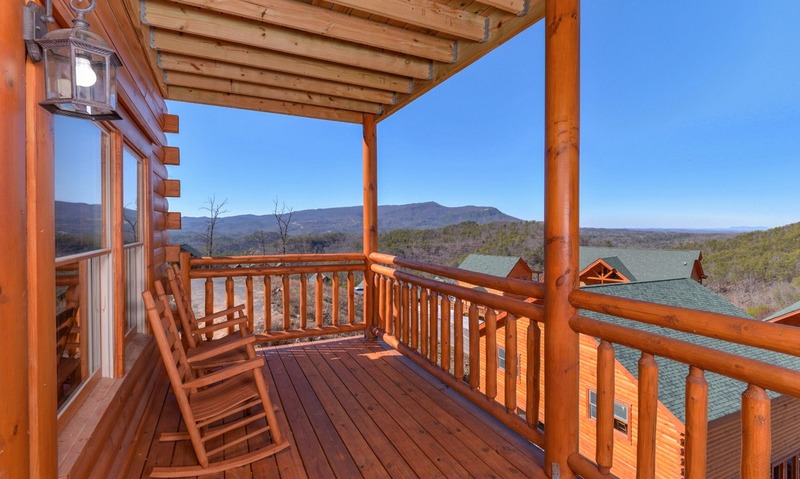 Enjoy beautiful views of the Smoky Mountains from high on the hill while you rock on the porch or soak in your outdoor hot tub. Savannah Splash also provides a large, carpeted game room with several game tables; a movie room with theater-style seating and a 70-inch screen; and—if the name didn’t already give it away—an indoor private pool! 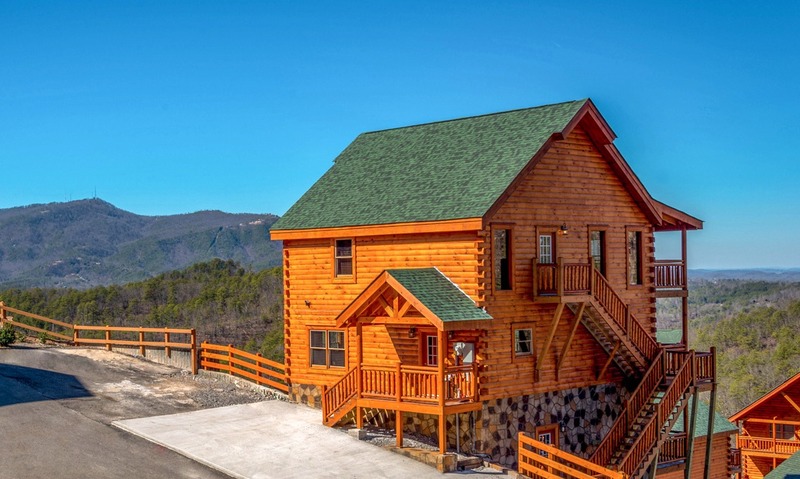 With all these amenities and many more, your group won’t have to leave the driveway to enjoy their time in the Smoky Mountains, but when they’re ready to check out all that Pigeon Forge has to offer, downtown is only 4 miles away. Its convenient location, long list of amenities, modern interior, and spacious design make Savannah Splash hard to beat when it comes to choosing your small group’s cabin this year! Savannah Splash’s living room is one of many hangout spaces found inside this 3,000+ square-foot cabin. 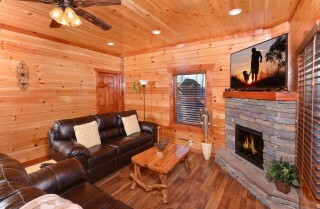 Located on the main floor, this room features 2 leather couches—a full-size and its matching loveseat. 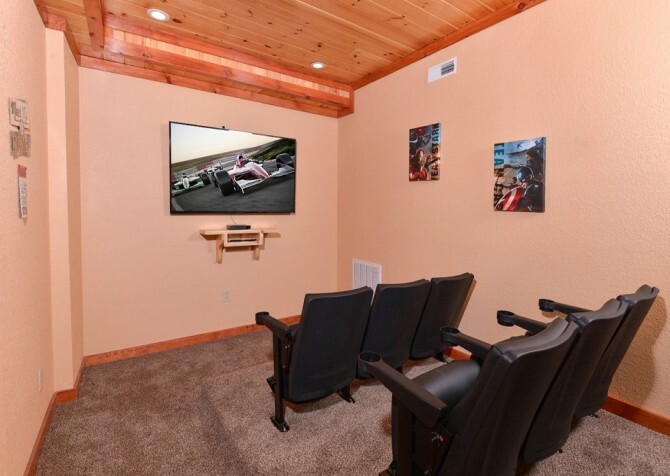 Plan to spread out in style as you watch your favorite weeknight show on the big screen that’s mounted above the stacked-stone, electric (heat) fireplace. 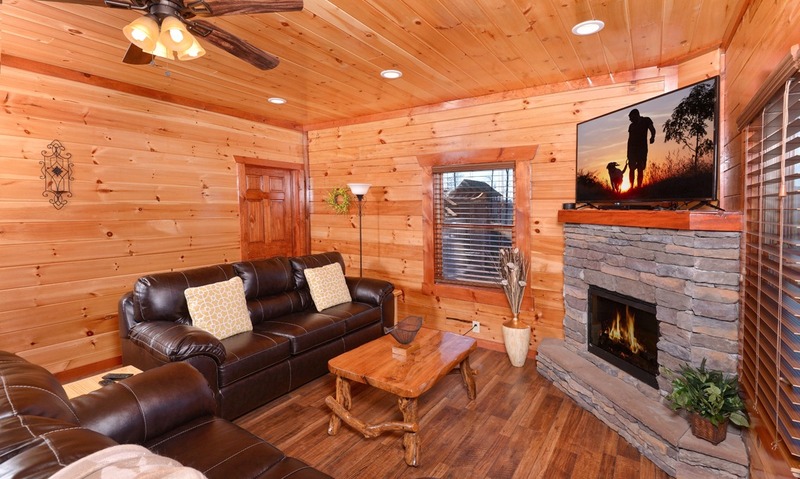 This amenity is perfect for winter vacations to the Smoky Mountains (and while you’re in town, stop by The Apple Barn for everything you’ll need to make your own hot apple cider in the cabin). Along with a big screen TV and fireplace, Savannah Splash’s living room provides a coffee table for your drinks, snacks, or board games and large windows all around so you can soak up the sunlight and beautiful mountain views right from the comfort of your living room. Cooking in is easy at Savannah Splash, where you’ll find a large, modern kitchen with all your major appliances in black and stainless steel. 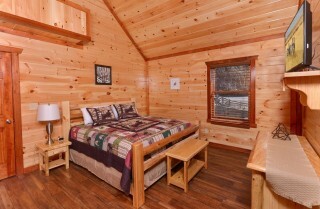 On the mornings when you don’t drive to the Log Cabin Pancake House, make your own flapjacks on this cabin’s electric stove. You’ll also have access to a blender for fresh-made breakfast smoothies, a coffeemaker for steaming cups of Joe all day long, and a toaster for a quick snack of English muffins and jam from the Gatlinburg Farmers Market (which runs spring through summer in the Smokies). Savannah Splash’s kitchen—loaded with modern updates such as granite countertops and recessed lighting overhead—is large enough for several guests to prep and cook at once, and you’ll find plenty of cabinet space to store your group’s favorite snacks. 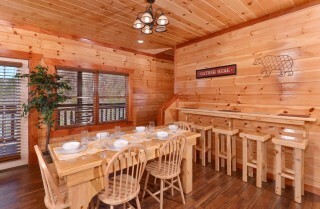 Not far from the kitchen and adjacent to the living room is Savannah Splash’s modern dining room. 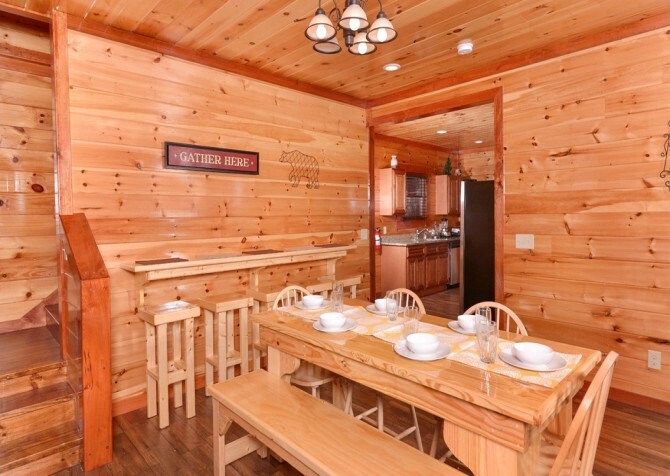 Enjoy a solid wood table for (at least) 6 guests—you might even squeeze in an extra guest or two on the bench. 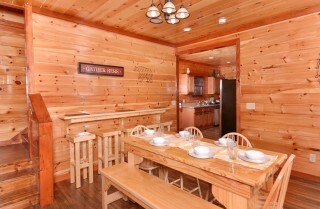 Beside the dining table, you’ll find a convenient breakfast bar area with stools for 5. 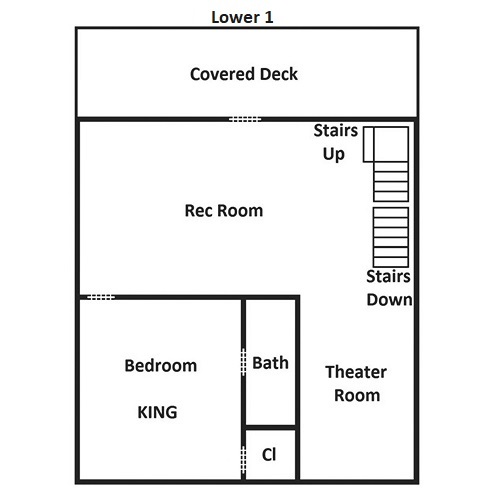 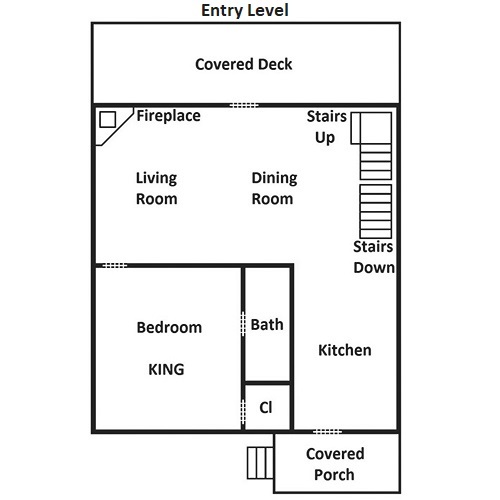 You should be able to fit most if not all of your group at these two locations, but if you still need more space (or just want to spread out), feel free to use the couches in the living room. The open-concept design of Savannah Splash’s main floor makes it easy to spread out and stay comfortable even with 10-plus guests. 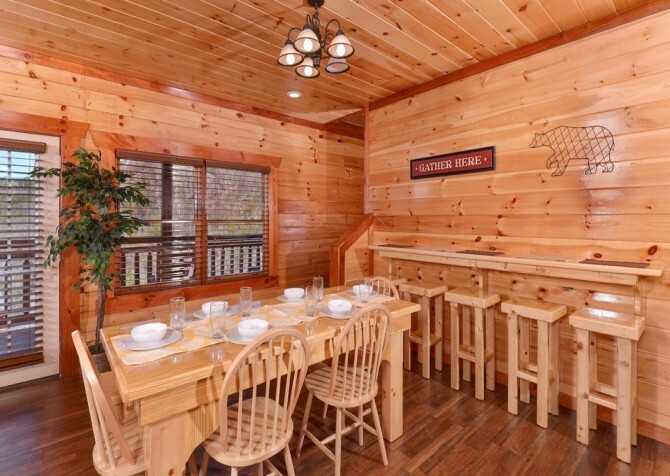 And don’t forget that in the evenings, once dinner has been cleared away, this cabin’s large dining table can double as a game table. 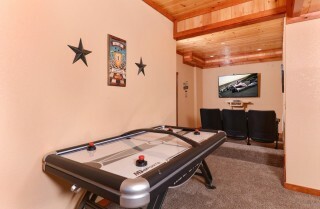 It’s large enough for old classics like Monopoly or modern favorites like Settlers of Catan. 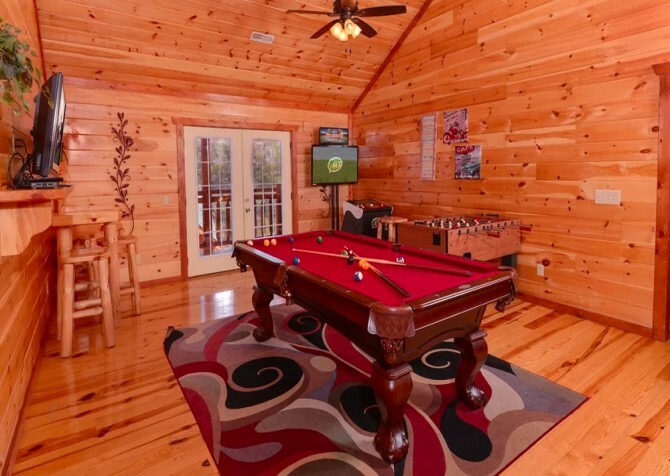 Speaking of games, Savannah Splash provides its very own large, carpeted game room to your Smoky Mountain guests! When you’re looking for a place to hang out or have some fun on a rainy day, try a game of 8-ball on the pool table or challenge your kids to an air hockey tournament. Savannah Splash also provides an Arcade Legends 3 multicade machine, so you’ll feel like you’re staying at your very own Fannie Farkle’s! Besides all the options for gaming, this large space features a big screen TV, a comfy bean bag chair, bar stools, and large windows with Smoky Mountain views. As you pass between the air hockey table and the multicade machine, you’ll come to Savannah Splash’s home theater. 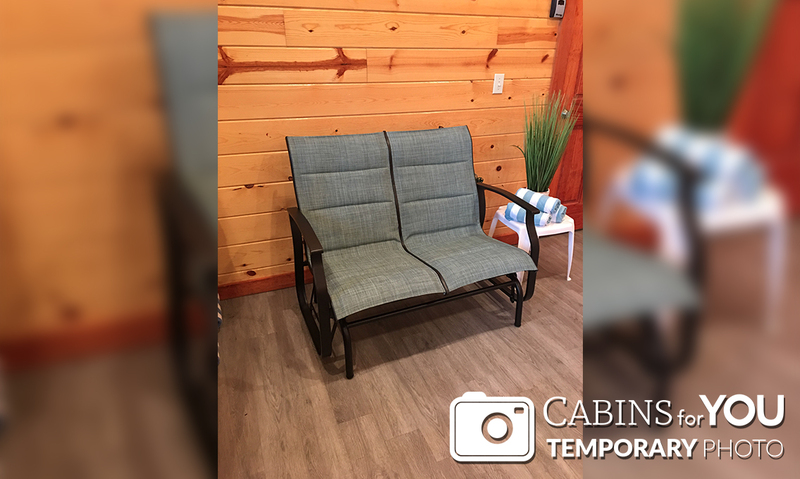 Also carpeted for your comfort and set on raised flooring for easier viewing, this space provides a 70-inch TV screen and theater-style seating, turning your Smoky Mountain cabin into your very own Pigeon Forge theater! Enjoy all your favorite Blu-rays and DVDs or rent a new release. The only thing this room is missing is the popcorn! As you head upstairs, you’ll pass a landing that offers another nice place to relax. 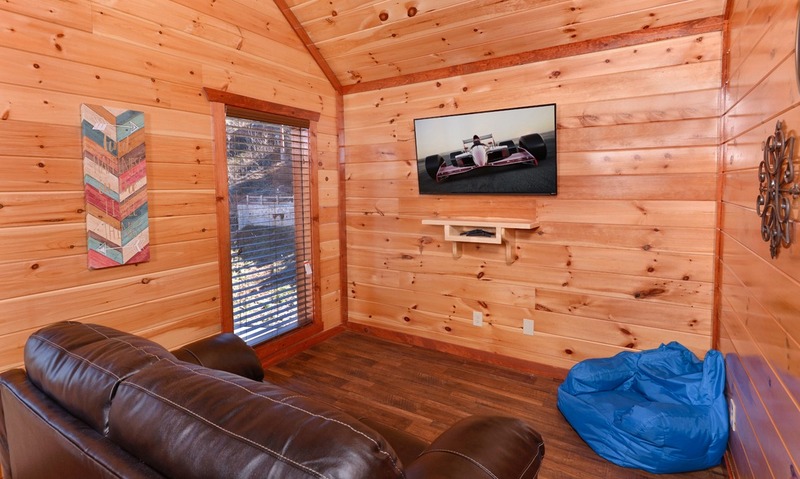 With a big screen TV, a bean bag chair, and a loveseat, it’s great for watching a ball game, letting the kids watch a cartoon, or getting in an afternoon nap. 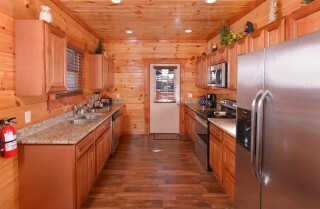 With a big group, it will be important to have so many great places to spread out around the cabin. 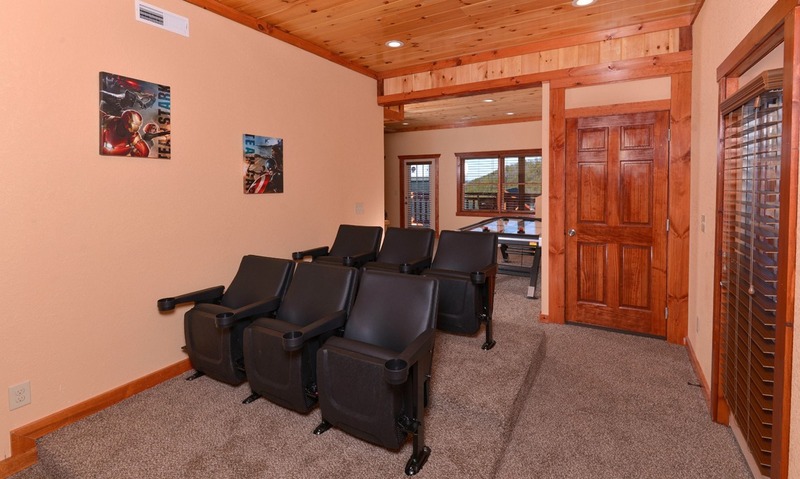 Small groups need plenty of places to play, and that’s why Savannah Splash provides tons of options, including a game room, a theater room, a separate hangout space with its own TV, and a private indoor pool (kept at 85 degrees)! 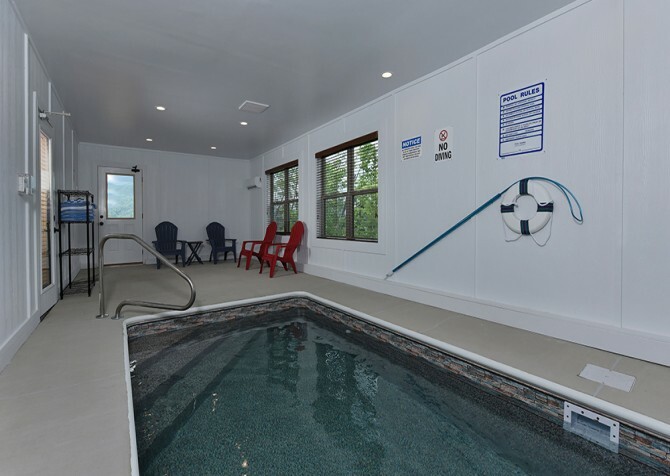 That’s right—when you stay at Savannah Splash, you won’t have to go down to the community pool to splash around and have a great time. 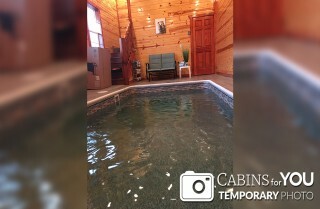 Your very own indoor pool is located at the bottom floor of this cabin! 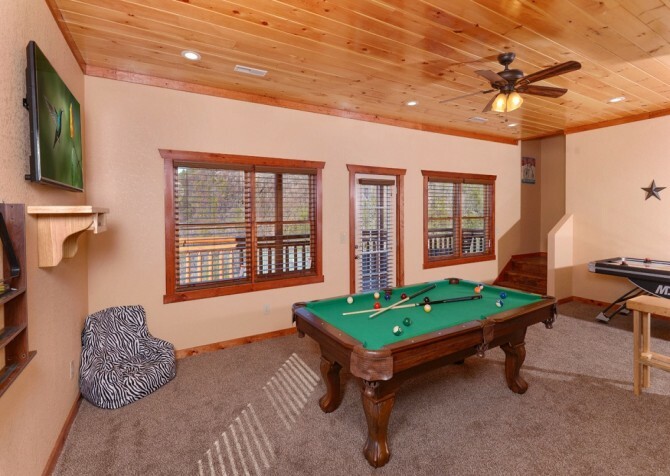 Enjoy a pool where kids and adults can play at the same time along with patio chairs, large windows for Smoky Mountain sunshine, and direct access to one of 4 covered decks. After swimming in the pool, playing in the game room, or catching a dinner show downtown, you’ll want a comfortable place to retreat for the night, and Savannah Splash provides 4 comfy bedrooms for your small group of 12! Each bedroom offers its own king-size bed and flatscreen TV, along with its own bathroom (4 total). 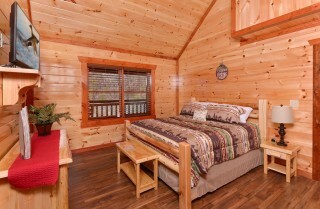 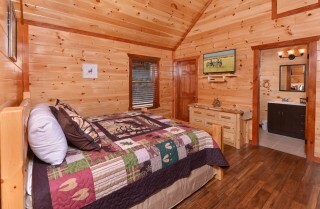 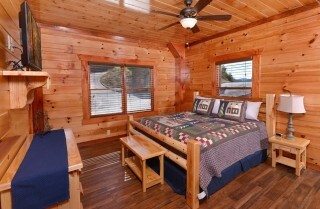 You’ll also find 2 full-size pullout couches in this cabin, which will sleep up to 4 more guests. Each bedroom also features Smoky Mountain décor including classic quilts, sturdy wooden furniture, and decorative elements on the walls and nightstands. One of the best features of Savannah Splash is its panoramic offering of Smoky Mountain views! Choose one of 4 levels of covered decks to hang out on, and enjoy unobstructed views of the mountains from the comfort of a rocking chair. 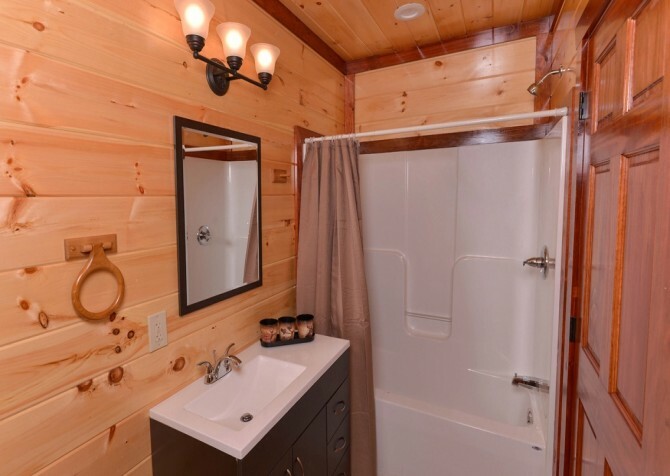 Savannah Splash also features an outdoor hot tub with a privacy screen and a picnic area-style (charcoal) grill for Fourth of July cookouts or a celebratory steak dinner in the Smokies. 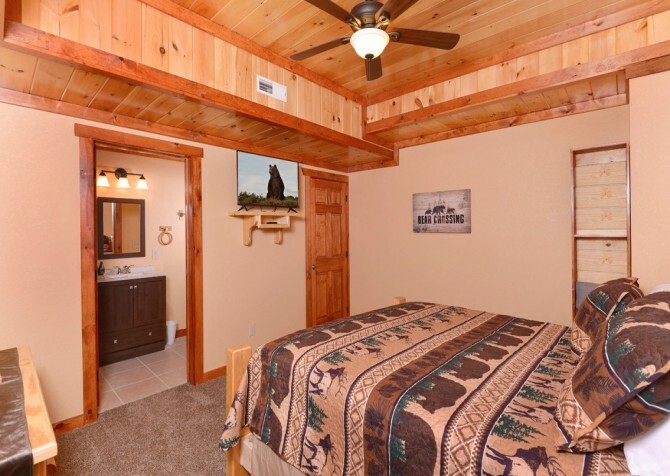 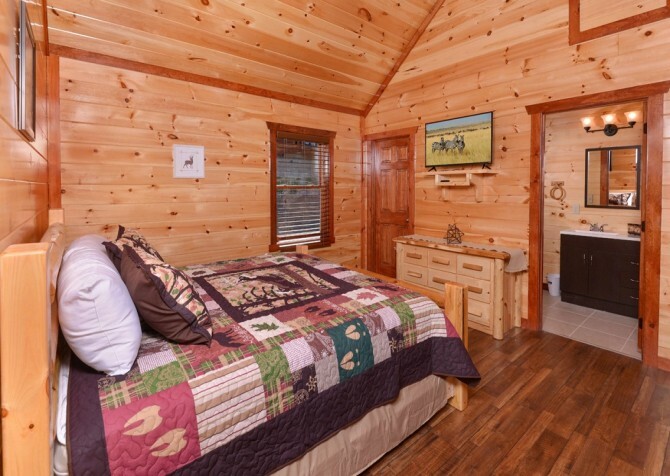 This cabin is semi-private for your convenience and, from its highest deck levels, provides some of the best Smoky Mountain views in Pigeon Forge! 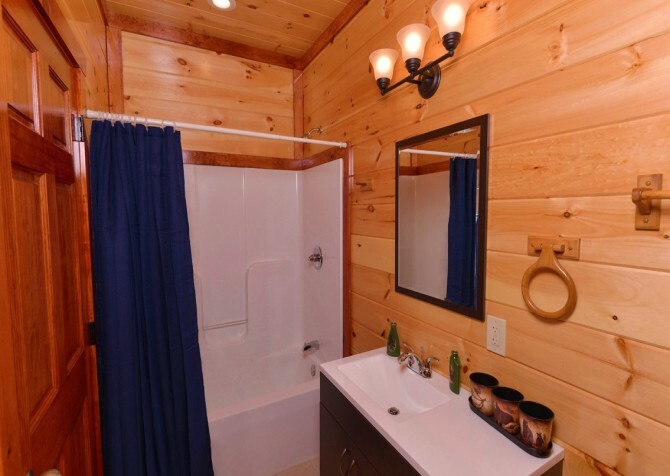 You’d think we’ve already listed everything that Savannah Splash has to offer, but that’s not true! This Pigeon Forge cabin also provides access to wireless internet, and a flat, paved driveway with room for 4+ vehicles. 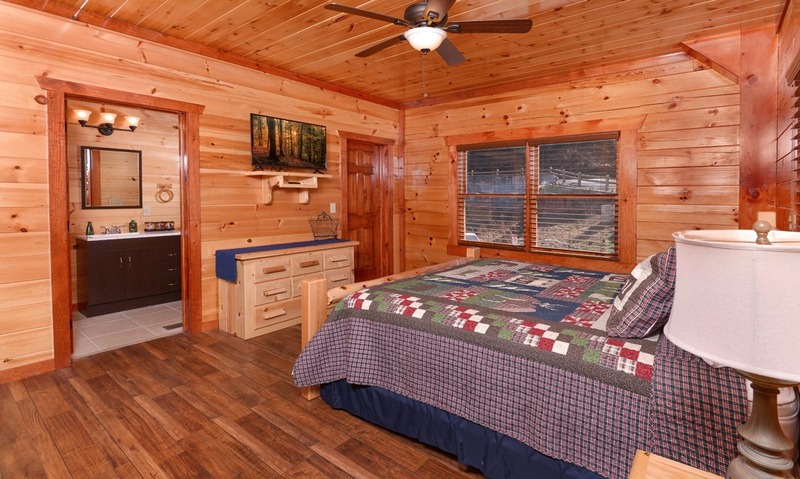 If you’re looking for a Smoky Mountain cabin that provides all the comforts of home plus plenty of space for a small group plus entertaining amenities galore, Savannah Splash is a great choice for you! 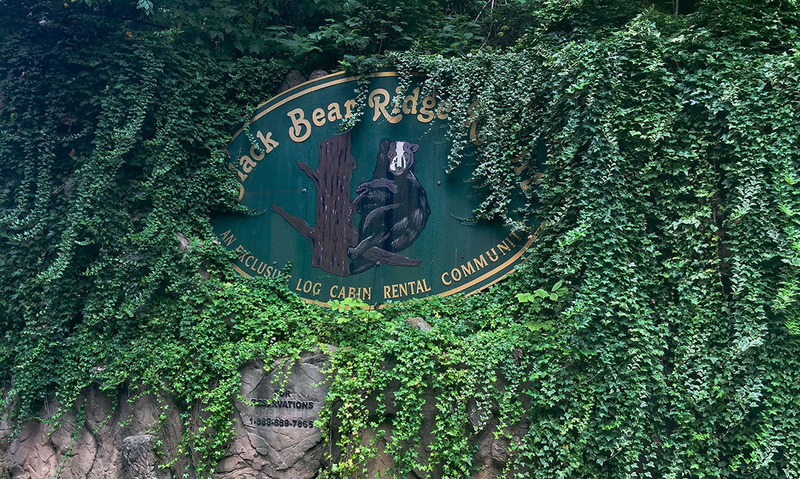 Nothing spells unforgettable group fun like ziplining through the Smokies! Try this popular Smoky Mountain activity at Wears Valley Zipline, located less than 3 miles from Savannah Splash. You control the speed when it comes to the Smoky Mountain Alpine Coaster, and this activity is a great one for kids and adults to enjoy together. 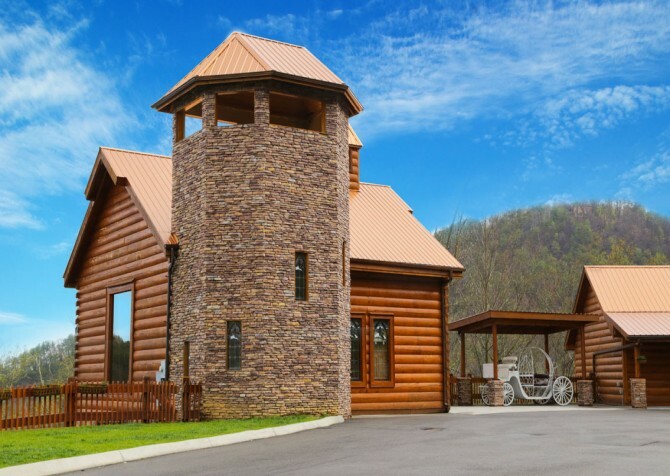 Get the whole group together for a fun night of show horses, amazing riders, and delicious Southern cuisine at Dolly Parton’s Stampede! 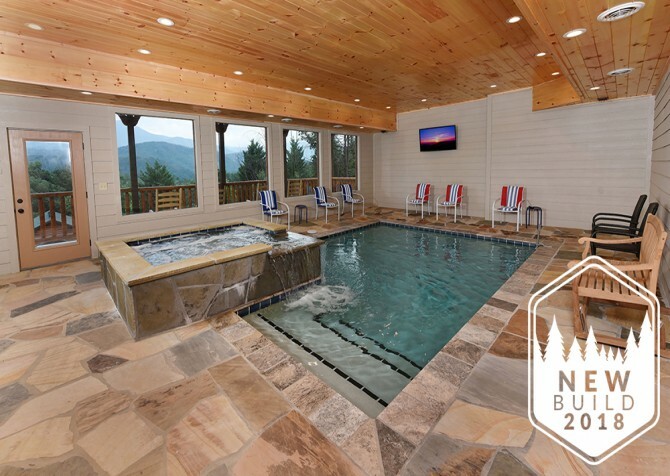 Community pool access is provided and managed through a third-party company. 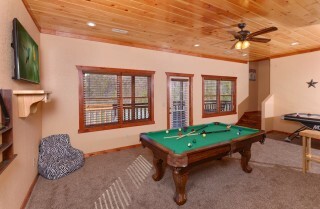 Savannah Splash guests do not currently have access to the outdoor community pool. 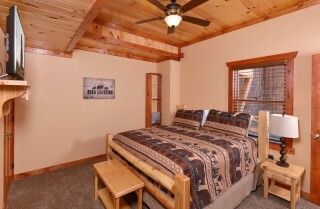 "I’ll be calling tomorrow my stay was awesome!!! 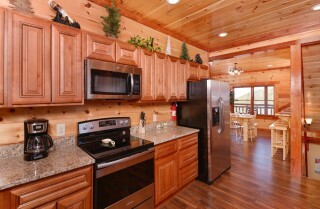 Loved my cabin Savannah Splash!! The only issue I had was with the weather!! 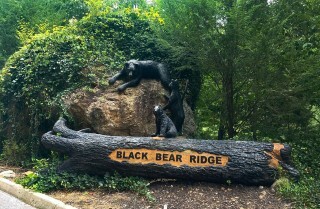 My kiddos and I are coming back this time!! Thanks so much for the wonderful time!! 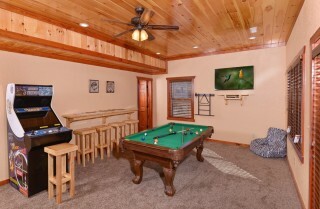 Weather stopped some of our fun but not much!!" 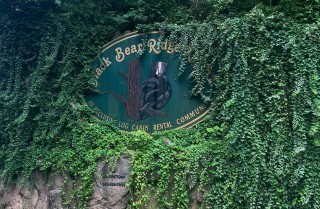 "Our group had a great time. 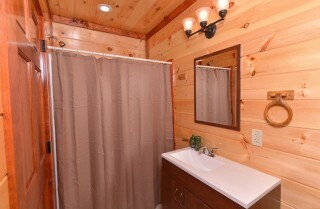 We loved our cabin Savannah Splash. 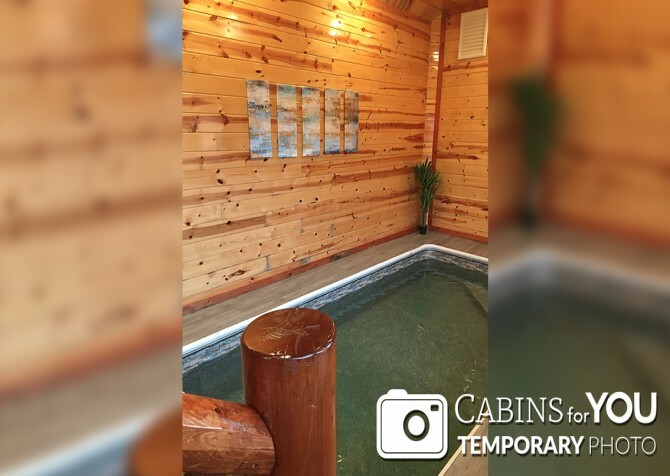 We will definitely be going back." "We stayed in Savannah Splash, it was hands down the best cabin we’ve ever stayed in. 4 story monster that had an indoor pool, pool table, home theater, decks on each level, a hot tub on the bottom deck, and a great view! 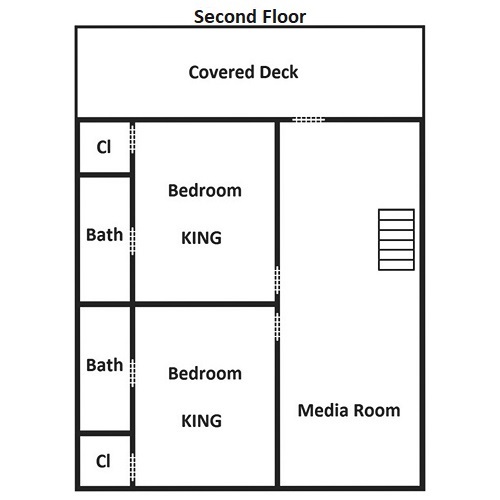 Bedrooms and bathrooms were all really big. 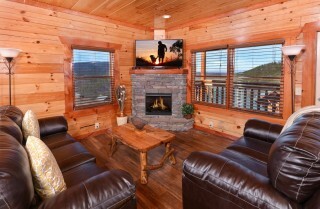 It was a great weekend, definitely recommend it!" "We stayed in Savannah Splash and it was one of the best weekend getaways ever! 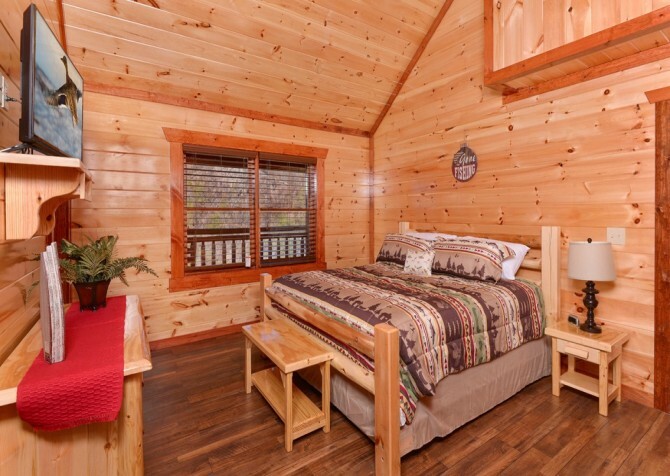 The views were unreal and the cabin was so cozy. 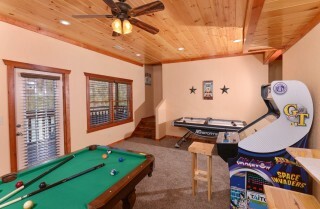 There was entertainment for everyone - an indoor pool, a hot tub, arcade center, a home theater, and a pool table! 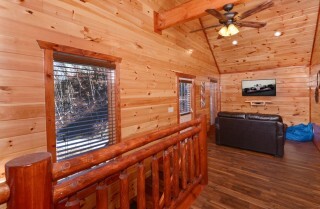 If I could, I would book a trip through Cabins For You any time of year. 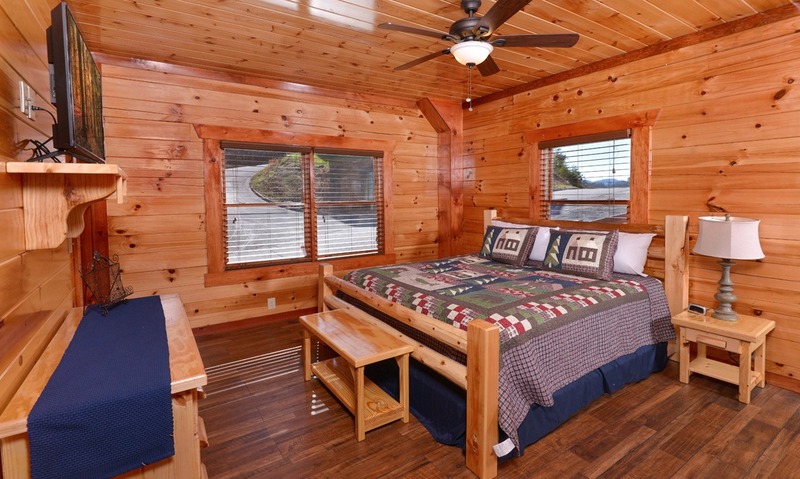 The rooms were so spacious and it was worth every penny to stay in one of their cabins." 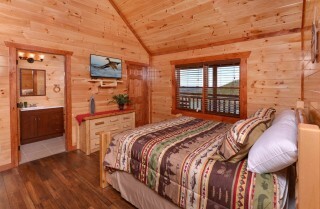 "Best cabins ever! 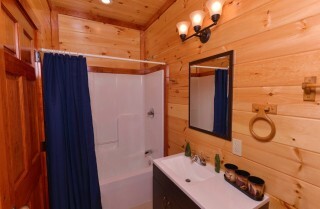 Stayed in Savannah Splash. 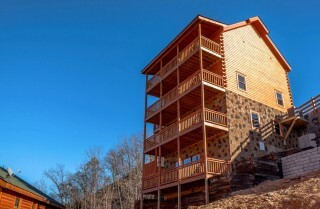 Beautiful views, incredible amenities, highly recommended for any getaway from the romantic style to big family/friend get together! Stop researching, book it now!!!"